Malcolm Brown | NFL News, as it happens, when it happens. Your one stop shop. That question was answered with a resounding NO Sunday afternoon as Tom Brady, Rob Gronkowski and a host of others destroyed the Buffalo Bills “vaunted” defense, 40-32. Don’t be deceived by the final score, this wasn’t that close. 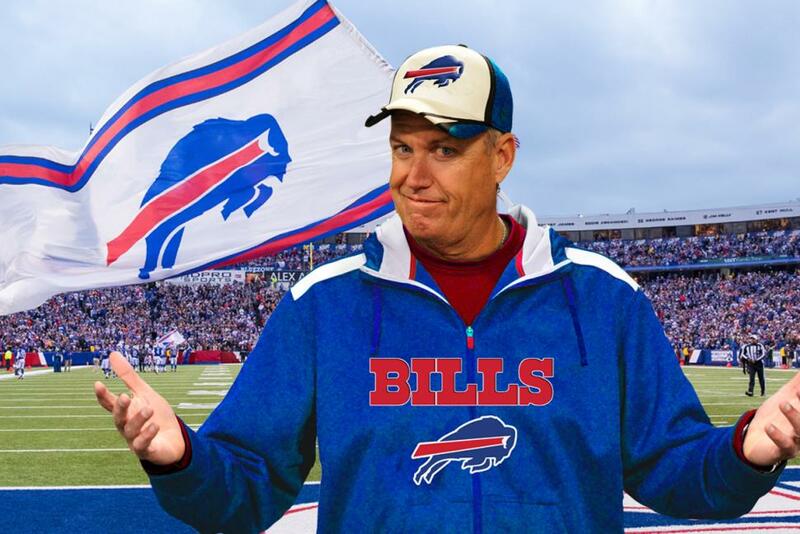 The Bills scored 19 points in the 4th quarter, long after the winner had already been determined. The Bills scored on their first possession and the Buffalo fans were in heaven. Unfortunately, it didn’t last long and many had left the stadium before they got a chance to get loud again. They may have pulled the comeback off if they were playing the NY Giants (sorry Giants fans. I hate to kick you when you’re down…) but nope, they were up against an angry (although they’ll never admit it) Tom Brady & Bill Belichick. Only one team in NFL history has come back from a 24 point fourth quarter deficit. Tom Brady was so good even ESPN had to admit it. No snide remarks about deflated footballs by anyone after this one was over. Tom Brady is good. He is only QB in NFL history to open 1st 2 games with at least 750 Pass yds and 7 TD twice in his career. Nuff said! Lesson learned? Don’t piss-off Tom Brady! He’s playing like he has something to prove after all the off-season slander he put up with. Bet it will be a little tense if Commissioner Roger Goodell is forced to actually attend a Patriot game this year…or, better yet, give Brady another MVP Trophy. 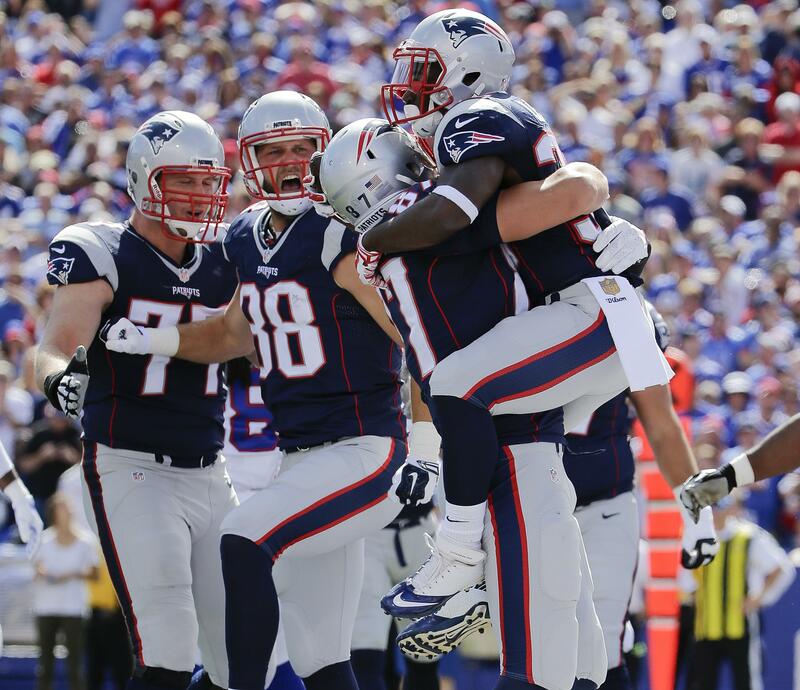 Through two games, Gronk is off to the best start of his career with 207 receiving yards and 4 touchdowns. 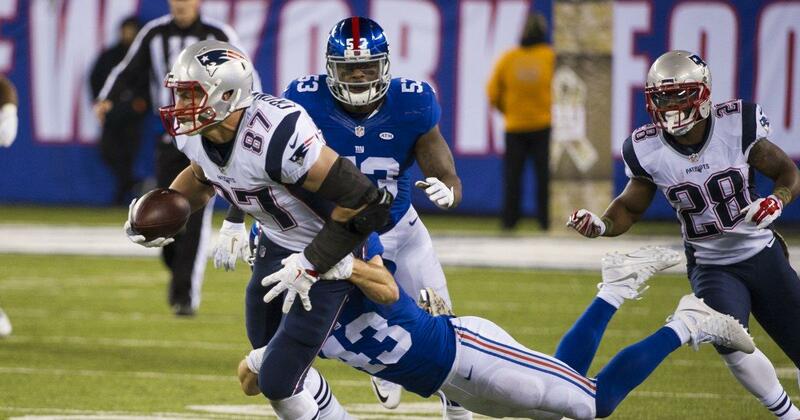 The question of who will replace Shane Vereen (who?) has been answered with an unknown running back who no one wanted…and he isn’t named Gray. I know it’s only two games, and he has fumbled twice (lost one), but Dion Lewis (remember that name Rex Ryan) has been outstanding. Belichick had enough confidence in him that he put him right back in the offense after his fumble. That doesn’t happen very often, just ask former Patriot Stevan Ridley. Lewis (that’s L-E-W-I-S Mr. Ryan) had 40 yards rushing and a TD on just 7 carries. You’re right, that’s OK, but nothing to rave about. How about this then, 6 receptions for 98 yards. Combine the two and you get 13 touches for 138 total yards. If you aren’t good at math Rex, that’s 10.6 yards per touch. Anyone think Ryan will remember his name when the two teams meet again in November at Gillette Stadium on Thursday Night Football (ESPN)? The Offensive Line. People needlessly worried about Tom Brady’s life/health coming into this game against Buffalo’s feared pass rush. Brady’s quick release certainly helped, but the youngsters held up just fine, allowing only two sacks…and that was without Bryan Stork and Ryan Wendell. Can we all please stop holding our breath every time TB drops back to pass? 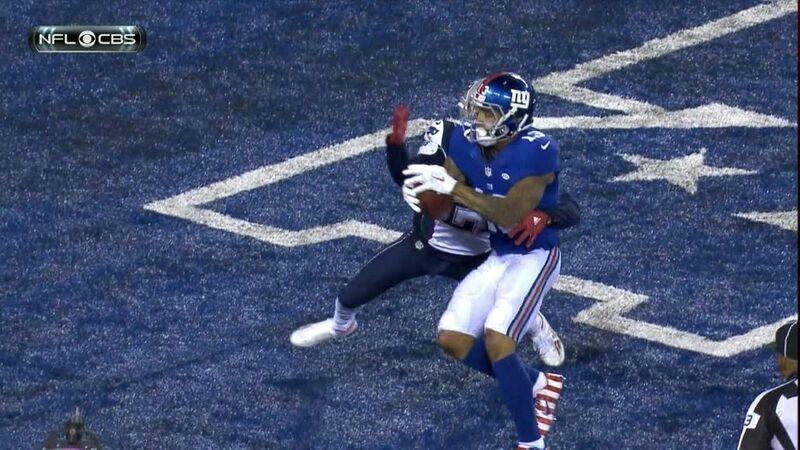 Patriots’ had 4th and 1 from the Buffalo 41 yard line in the 4th quarter and went for it. Going for it actually wasn’t a bad decision, but getting greedy and throwing an incomplete long pass to a covered Dion Lewis was not among the smartest things to do. The run defense continues to be soft. Despite trailing, Buffalo ran the ball 27 times for 160 net yards (almost 6 yards per carry). Yes, they sacked and pressured Taylor the whole game, but he completed 23 of 30 passes and 3 TDs. Big lead or not, garbage time or not…that’s not very good. They did contain his scrambles (5 for 43 yds, 1 TD) fairly well, but still need the secondary to step up. Three int’s was nice, completion percentage was not. It’s still a long season and, with 14 regular season games to go, anything can happen. The AFC East came back to earth with Buffalo’s loss and Miami falling to Jacksonville (you know that hurt). The Jets (2-0) kept pace with New England by beating the highly overrated Colts (0-2) Monday night. 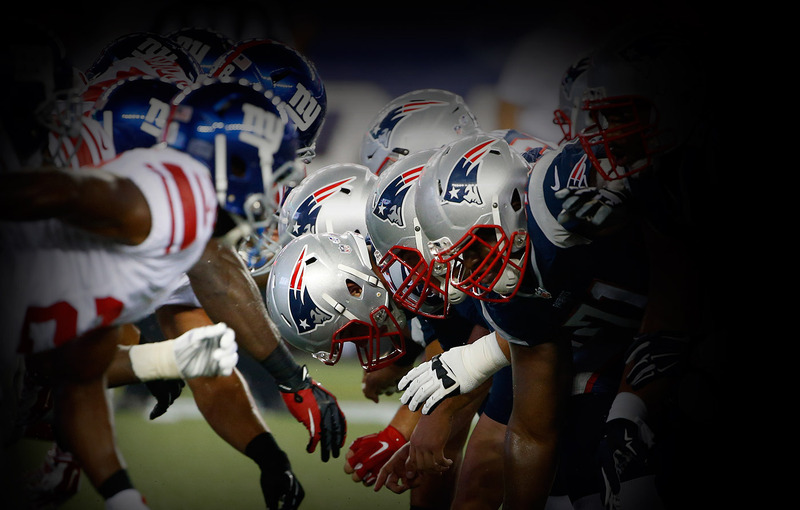 Day number three of New England Patriots training camp has come and gone, and now the real football has begun. Saturday marked the first time that the team has worn full pads during practice, which could only mean one thing, contact! Of course since the new Collective bargaining agreement came out in 2011, the amount of hitting teams can do in practice is limited, but there was certainly still some popping in Foxborough on Saturday morning. Here are my three biggest takeaways and observations from day three of camp. 1. Blount and Easley Back In Action: On Saturday morning, media members and fans were delighted to see the return of both LeGarrette Blount and Dominique Easley to the practice field. After failing his conditioning test on Wednesday, Blount had to spend the following days getting himself in shape so he could get on the field and help his team. It was evident that Josh McDaniels wasn’t going to just hand Blount all the reps, he had to capitalize when he had them. When it came down to it, he did capitalize. He doesn’t look like he has missed a step at all since we saw him in February. 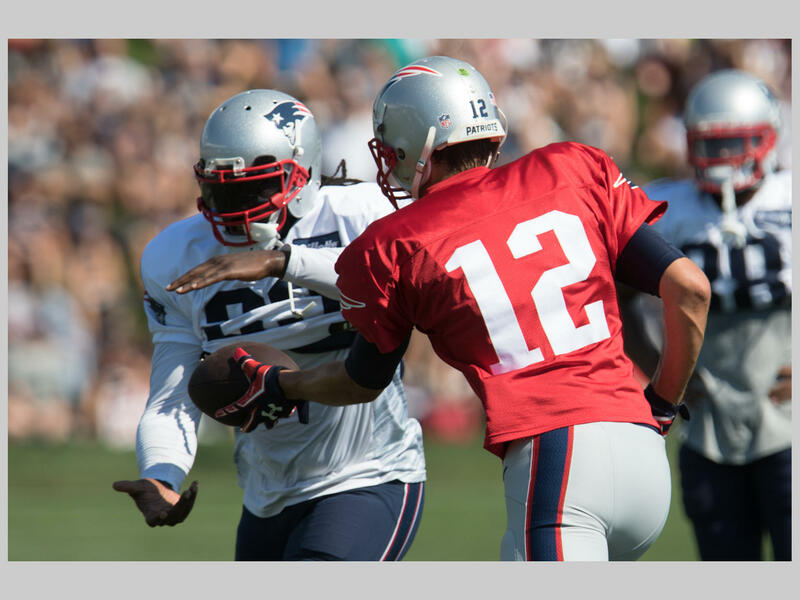 During a drill in which a linebacker had to cover a running back one on one on a passing pattern, Blount made a phenomenal move on Jamie Collins leaving him in the dust as he reeled in a catch from Tom Brady down the sideline. In addition, during goal line drills, Blount showed his power once again plowing through the defense into the end zone. Although, he was stopped on his second attempt by rookie first-rounder Malcom Brown. There was a report on Friday, stating the Patriots coaching staff was going to be cautious with Dominique Easley. This did not appear to be the case on Saturday as Easley was full go. Even though he was mostly phased out of first team reps by veteran Antonio Johnson, Easley did impress during interior lineman three on three drills. The drill was simulated with a center, guard, and tackle going up against two defensive lineman and a linebacker. Easley really gave it to un-drafted rookie center David Andrews during the drill. The two were really going at it, that could stem from their Georgia versus Florida college rivalry days. Rookie Offensive Lineman Jumping Right Onto First Team: With the left guard position wide open, and with Ryan Wendell still on the physically unable to perform list, rookie guards Shaq Mason and Tre Jackson have been able to see plenty of action over the past three days. Many believed that Jackson would have the best chance at the starting job based on his size, but Shaq Mason was the one that really stood out on day three. Mason was in the left guard spot during live team drills, and he stood his ground giving up zero sacks of Tom Brady. Furthermore, during the interior lineman drill period, Mason made a fantastic cut block on veteran linebacker Jonathan Freeny, taking his feet from right up under him. Miscellaneous Notes: The story with the quarterbacks was very much similar to what it was on Thursday when I was at training camp. Tom Brady took the majority of the reps with the first team with a little Jimmy Garoppolo mixed in. 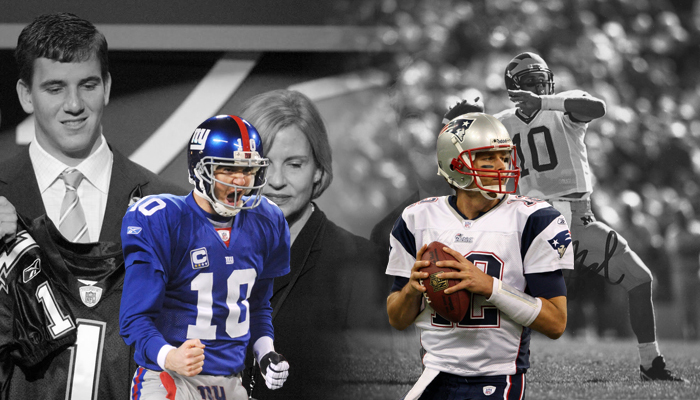 Brady was borderline flawless, and Garoppolo still needs to make quicker decisions. 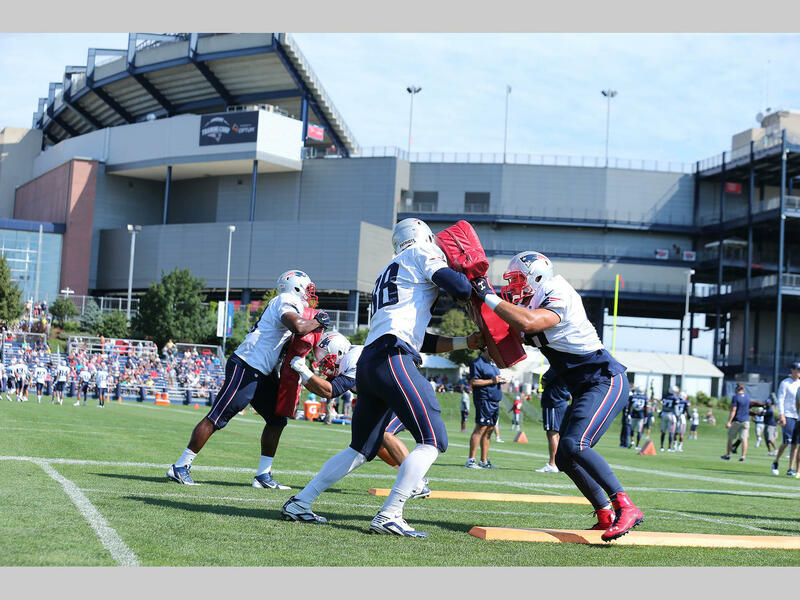 Brady went seven of ten during seven on seven drills, and a perfect twelve for twelve during live team action. Garoppolo also went seven for ten, and seven for nine during team action. The defensive back group continues to put things together with some bumps in the road, as expected. The two quarterbacks for the most part carved up the secondary. Nevertheless, there was some bright spots on Saturday. Logan Ryan shined by breaking up multiple passes from Tom Brady. That is key because Ryan is the most experienced corner in the Patriots system, which is scary. Second round safety Jordan Richards also continues to impress the doubters. On Thursday he had a very nice interception of Jimmy Garoppolo, and today he made a great play by knocking the ball out of Scott Chandler’s hands in a one on one drill. The 6-7 Chandler towers over 5-11 Richards. 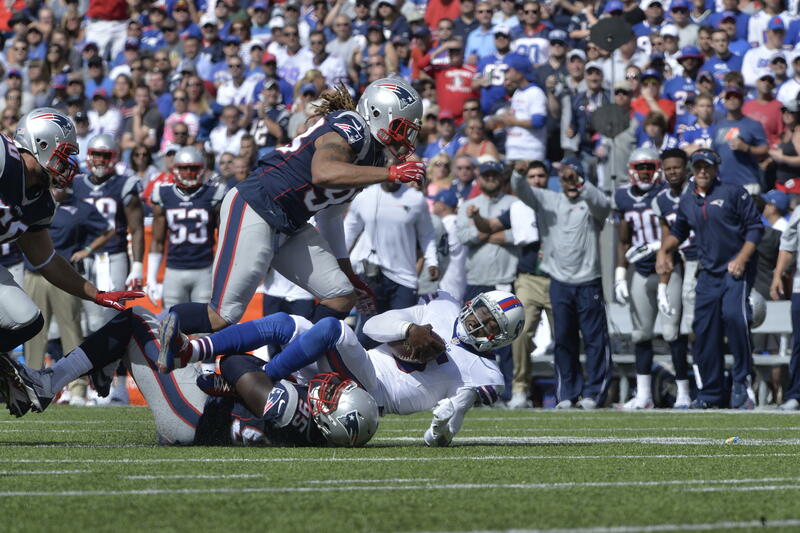 Lastly, the play of the day for me had to go to one Aaron Dobson. During one of the seven on seven periods, Dobson made an outstanding grab on a post corner route from Tom Brady, over former college teammate Darryl Roberts, who was all over him. I will also be in attendance at day four of Patriots training camp, so stay tuned for more updates.